On April 18th, people across the world spoke out against trade agreements that threaten to affect our democratic rights, food sovereignty, jobs and the environment. Here in Ireland, we focused on trade deals that the EU are currently negotiating with the US (TTIP) and Canada (CETA). One of the aims of this day of action was to raise awareness of similar agreements in other parts of the world that are driven by a similar agenda of continuous deregulation and liberalisation. 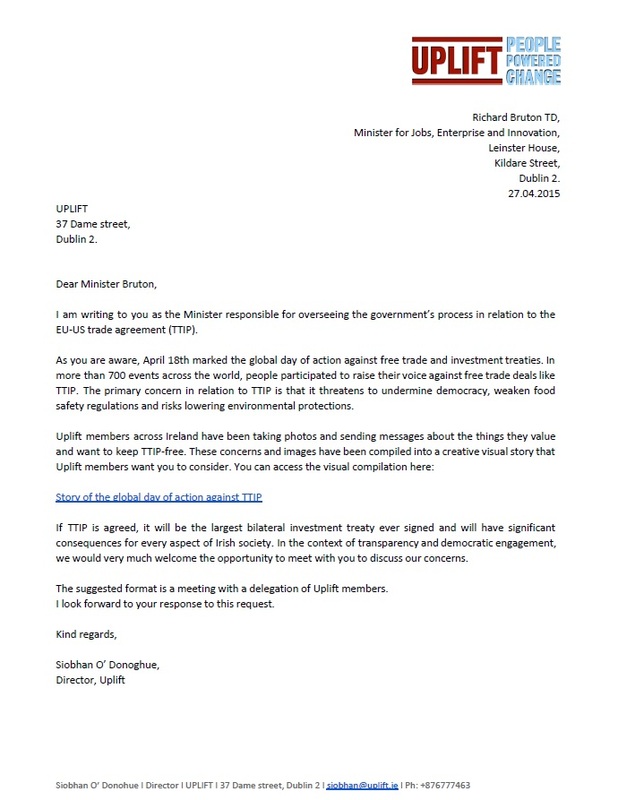 This story of how Uplift members feel about TTIP has been sent to Minister for Jobs, Enterprise and Innovation, Richard Bruton. He has also been asked to meet with Uplift members to discuss our concerns about TTIP. If he agrees to meet, Uplift members will have an opportunity to pose questions and to participate in this discussion. 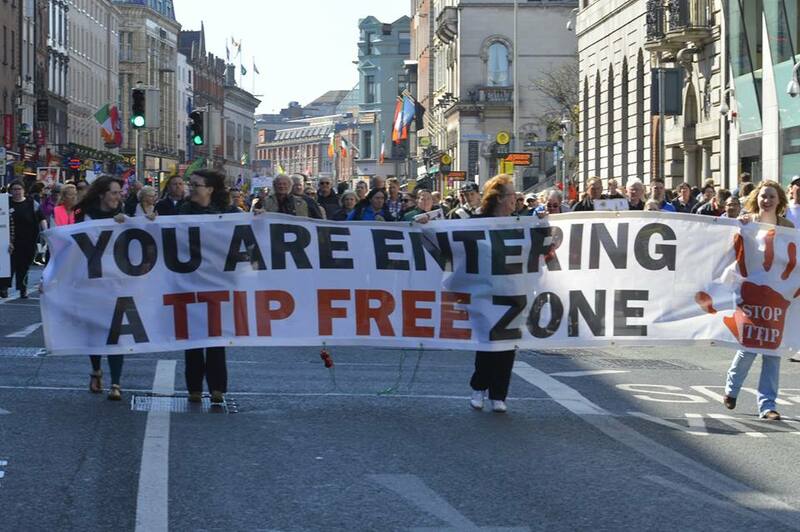 The resistance to trade deals like TTIP and CETA is increasing, and the movement to keep Ireland TTIP-free is building stronger everyday.